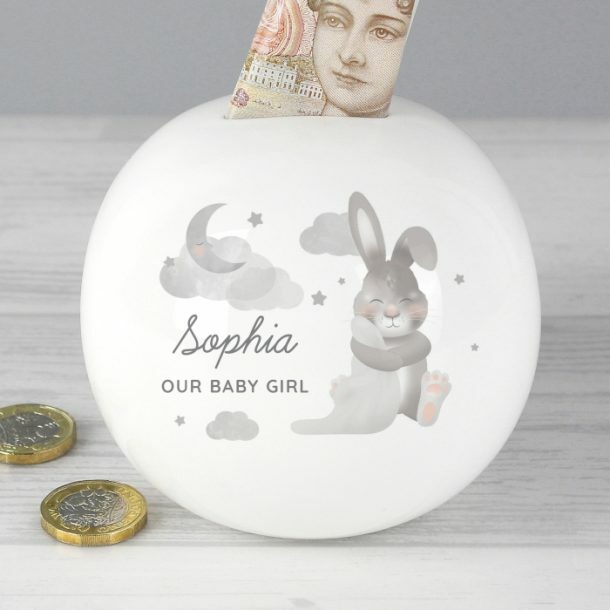 Keepsakes from a babies early years are important, so with this in mind we created this Personalised Baby Bunny Round Money Box. Made from ceramic, this adorable money box is a lovely gift idea for any child to learn the art of saving pennies! 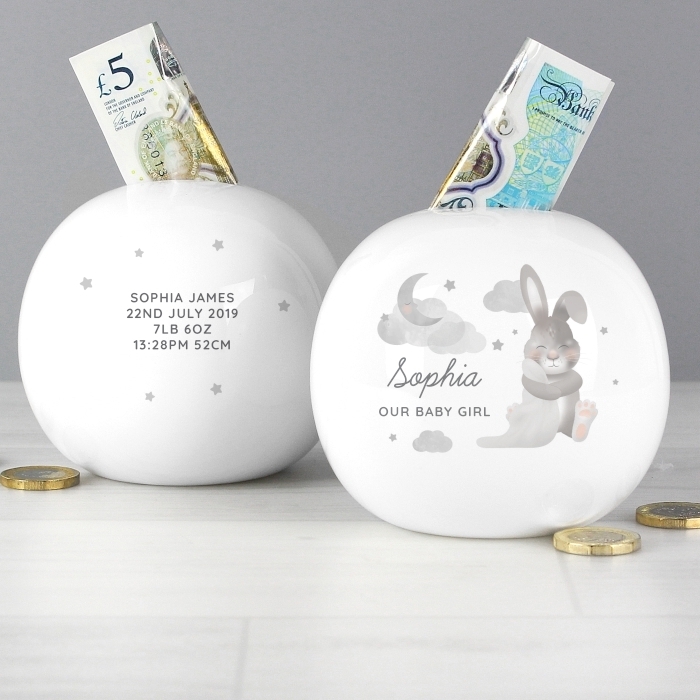 Featuring a sweet design and personalised on the front and reverse, it makes a lovely gift for any occasion such as christenings, naming days, baptisms and first birthdays. This Personalised Money Box can be personalised with a name up to 12 characters and a message up to 20 characters on the front of the money box. 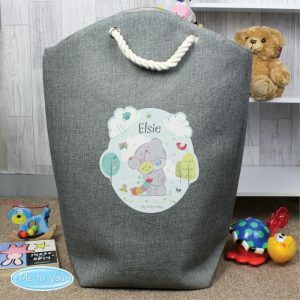 It can also be personalised on the reverse with a message over 4 lines, 20 characters per line. Please refrain from using block capitals on the name, as this may make the personalisation hard to read. The remaining wording will appear in fixed upper case. A keepsake that will be loved for many years.